Giorgio Moroder’s track record is impressive. He is an indisputable pioneer of electronic dance music. He has won three Oscars, three Golden Globes, and three Grammys. He has written three official songs for the Olympics and one for the World Cup. He has recorded songs with David Bowie, Freddie Mercury, Blondie, Barbra Streisand, Donna Summer, Cher, and many others. His many hits have sold well over 100 million copies, and producers from around the world count him as a major influence. Moroder, born in a small village in South Tyrol, Italy, is a legend — not just because he published his autobiography in the form of a Daft Punk song, but because his work has made an indelible impact on the music industry for decades to come. SVEN SCHUMANN — In the last issue of Purple, Guy-Manuel de Homem-Christo and Thomas Bangalter from Daft Punk said that they originally started a band to meet girls. What drove you to make music and to perform? GIORGIO MORODER — Exactly the same thing. I was 15 when I started playing guitar. It’s simple, you play a little guitar at parties and the girls get interested. I guess I wanted to be a musician anyway, but with the additional allure of having some girls. SVEN SCHUMANN — Why do you think that musicians are so appealing to girls? GIORGIO MORODER — First of all, I think women generally like people in the arts — like painters, writers, and, of course, actors. They like that aura of success. But musicians appeal to girls the most because music speaks to everybody. Art isn’t appealing to every girl, but music is so universal. You’re sitting next to a guy who’s playing guitar or piano, and you feel like, “He’s playing for me.” I guess the girls hear somebody singing “I love you” and they think, “Yeah, of course. He loves me.” There are a lot of reasons, but one is the intimacy that a good song or a great musician develops and projects. SVEN SCHUMANN — So did it work out for you in the end? GIORGIO MORODER — It worked quite well, actually, yeah. I resisted finding my ideal woman until I was 50. But after 25 years I’m still married. SVEN SCHUMANN — Girls aside, there must have been a certain song or artist that made you want to be a musician, right? SVEN SCHUMANN — Was the decision to change your name from Hansjörg to Giovanni Giorgio part of the process of becoming a musician? GIORGIO MORODER — I actually didn’t change my name; that’s a misconception. My name is Giovanni Giorgio, that’s how it is in my passport and that’s what my birth certificate says. But my mommy called me Hansjörg. It’s a translation from Italian to German, and since we speak Italian and German in South Tyrol she called me that. SVEN SCHUMANN — Before you became one of the biggest producers in the world, you had your own recording studio called Musicland, where legendary artists like Freddie Mercury, Led Zeppelin, and the Rolling Stones recorded. If you wanted to be an artist yourself, why did you build a studio for others? 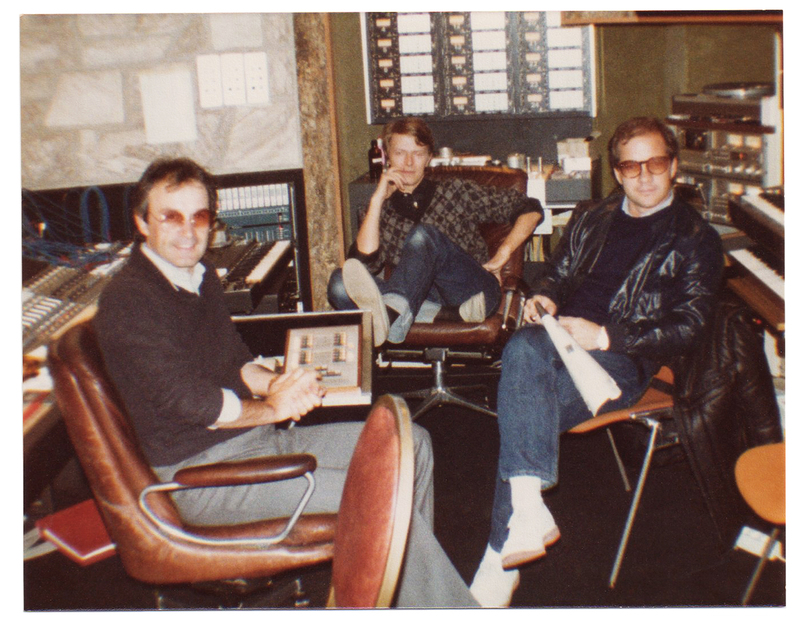 GIORGIO MORODER — The initial idea was to have a studio just for myself. But then I think after one month Ariola — the BMG of the ’70s — called me and said that Marc Bolan of T. Rex was looking for a studio. So he took it away for a month or two, and I had to go to another studio. After that I went back to work for a month or two, and the Rolling Stones came in and took the studio again. So more than half of the time I couldn’t work in my studio. 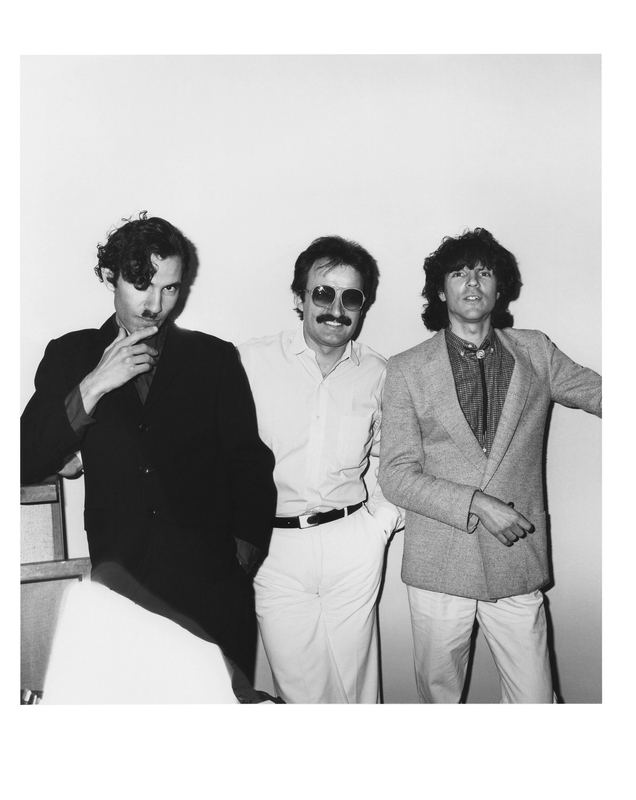 GIORGIO MORODER — First of all it made me some money, and second, if Queen, Led Zeppelin, or the Stones came in, I couldn’t say, “No, the studio is booked by me.” They would get upset. So it developed a bit differently than planned. SVEN SCHUMANN — Why would these English bands want to come to a studio in Munich in the first place? It seems like a pretty random choice. 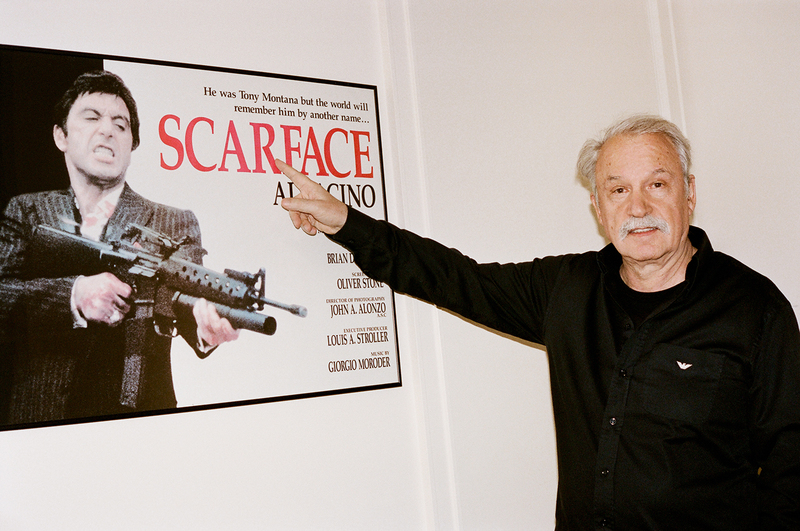 GIORGIO MORODER — Well, the studio was not a typical European studio. It was more like an English studio in the way it was built. Another reason was that at the time a lot of groups would record outside of England for tax reasons, and there was only one studio in Paris and my studio in Munich where the English groups felt comfortable. Plus, the studio was in the Arabella house, so there was a hotel in it and you could rent an apartment for a few months. They had a swimming pool and restaurants. It was very convenient, so that was quite nice as well I imagine. SVEN SCHUMANN — A lot of the bands that recorded at your studio went on legendary benders at Munich nightclubs. Did you go out much back in the day or were the clubs more like a place of work for you? GIORGIO MORODER — There was a time when I went once a week just to relax a little bit, but I was not a disco guy. Sometimes I went to check out some of my songs with a DJ to see how they work with the people on the dance floor, but I had no relationship with dancing. My rhythm is all in my head and in my right foot. In fact, my wife complains that not only do I not want to dance, but when I do I’m a lousy dancer. But there were other reasons why I never was a huge nightclub guy. SVEN SCHUMANN — Like what? GIORGIO MORODER — After working until 10, 11, 12 o’clock at night, I usually wanted to go home and start at 10 or 11 in the morning again and not at five or six in the afternoon. So my day was a little different than all the bands. Of course I had my cognacs or my vodka as well, sometimes even a little too much, but drugs were never my thing. To this day, I’ve never, ever done coke. Once a year I have a little pot, but I don’t like it. I also don’t think that it helps you from a creative point of view. I heard these stories of people working until five o’clock on drugs and then the day after they hear what they did and are appalled at how terrible it sounds the next day. I was never interested in that. SVEN SCHUMANN — You had your first small successes with German Schlager music, but the big breakthrough came once you discovered the possibilities of a synthesizer. What did that trigger inside you? GIORGIO MORODER — The record that triggered my imagination with the synthesizer was an album called Switched-On Bach by Wendy Carlos, a collection of pieces by Bach played on synthesizers. I realized that the possibilities of synthesizers were endless and that I wanted to translate that into pop music. SVEN SCHUMANN — Would you agree that the biggest difference between you and a band like Kraftwerk is that you treated the synthesizer more like an instrument than a computer? GIORGIO MORODER — Yes, they treated it as a different kind of pop, while I used the synthesizer as a musical instrument. My first song with a synthesizer was called “Son of My Father,” which I think was in ’70 or ’71. I believe that was the first ever pop song with a synthesizer. And then later I did “I Feel Love” with Donna Summer, which was all done by synthesizer. SVEN SCHUMANN — A song that is now considered very influential in the development of electronic pop music. Were you aware of what kind of impact it would have on the industry? GIORGIO MORODER — I thought I had something new, but I absolutely didn’t know that it would have such a strong effect. I only realized that a few months later when Brian Eno told David Bowie that he heard the sound of the future in “I Feel Love.” I would never have thought that something like that would come out of Brian Eno. SVEN SCHUMANN — True, Brian Eno is known to be very critical of other people’s music. GIORGIO MORODER — Exactly. That was probably the first indication that the song was gaining a little more than the interest this kind of music normally got. Obviously Kraftwerk had something similar going on, but that was just synthesizers. This was a great dance song with an amazing voice, so it was different from whatever was out there. The combination of really electronic, mechanical playback and these great romantic lyrics was definitely part of the success of the song. SVEN SCHUMANN — How freeing was it to be working in a field of music that nobody had explored before? 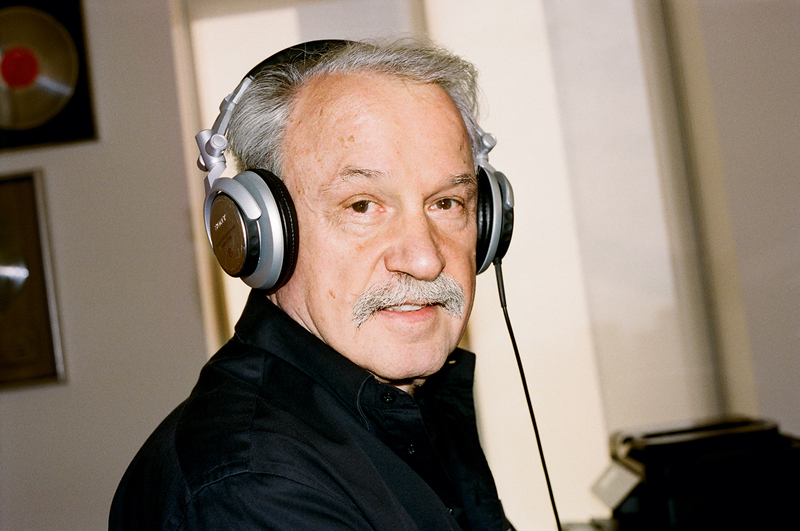 GIORGIO MORODER — I didn’t have any preconceptions. I was just standing in front of this machine with my engineer wondering what we were going to do. And so I said, “Okay, let’s start with the bassline.” And that’s where I came up with [sings bassline] and then I was like, “Okay, now I guess we have to add some chords.” I composed the melody later because it was all done in pieces. I would do eight bars and then the computer would go out of tune. I guess it’s relatively easy to create something new if you’re not tied to any rules and if you can do whatever you want. It was a really great time. SVEN SCHUMANN — Not only did you bring electronic music into pop, but you also managed to revolutionize film music as well. 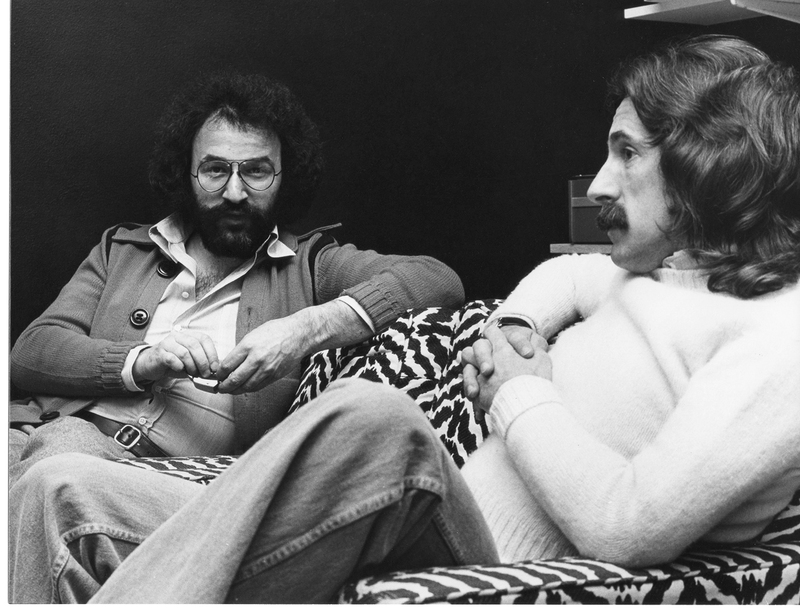 GIORGIO MORODER — I guess Alan Parker just trusted my vision and hired me to do the soundtrack for Midnight Express. The interesting thing is that I did it without knowing anything about scoring a film. I was watching movies like everybody else, not thinking about how the music for a movie should sound — I just did it. It was amazing that Alan let me do whatever I wanted. And in the end it actually worked out quite well. SVEN SCHUMANN — Definitely. You won an Oscar, and the doors for new film composers were suddenly wide open. Was it clear to you that your future would be in Hollywood after that? GIORGIO MORODER — Yeah, definitely. I got a lot of offers after that, like American Gigolo and then later Scarface, etc. It was nice to get into these different approaches to music. Back then, it was very difficult to transition from pop into the movie business because the movie music composers all came from a classical background. It was a big thing for a pop composer to enter this new world. SVEN SCHUMANN — And because of that you created film music that actually became commercially successful, something that wasn’t very common before. 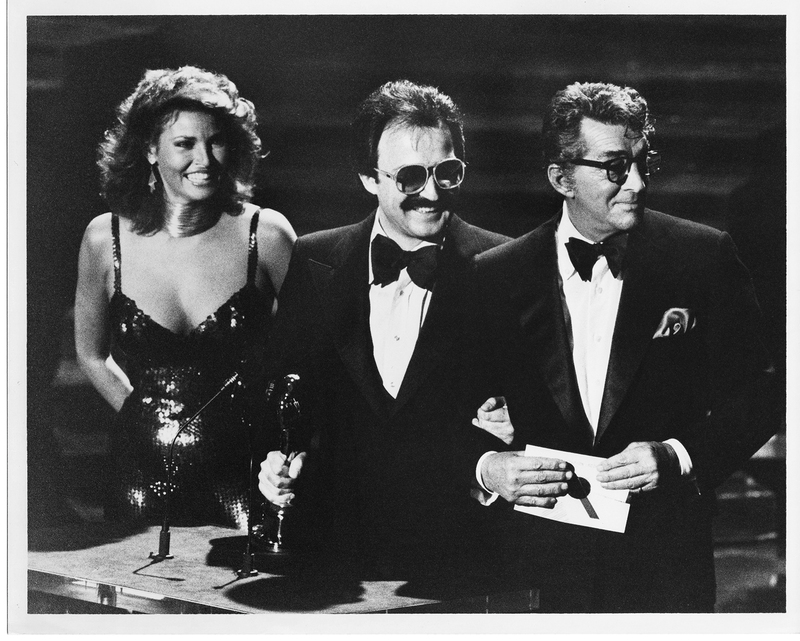 Songs like “Take My Breath Away” from Top Gun and “Flashdance… What a Feeling” became worldwide hits and won you two more Oscars. 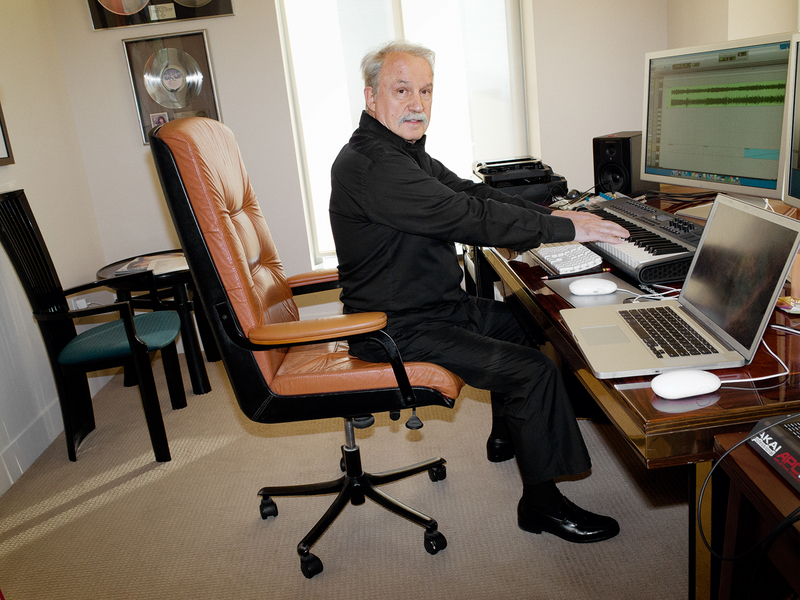 GIORGIO MORODER — I’m a commercial composer. The music obviously has to fit the movie, but I was always wondering how it could work on the radio, how people could listen to the song without knowing the movie. SVEN SCHUMANN — Which hardly happens anymore. Nowadays most directors just take songs that already exist. GIORGIO MORODER — Because it’s become more difficult to get a big act to write a new song, so they just use one that already exists. This way they know what they will get from the start. SVEN SCHUMANN — When you see films like Drive and The Social Network do you get a smile on your face? GIORGIO MORODER — Yeah, I could have done that stuff 20 years ago, but it’s nice to hear that people still remember those sounds. Obviously it sounds better now — but it still reminds me of the ’80s. SVEN SCHUMANN — Why did you take a step back from the music industry in the late ’80s? GIORGIO MORODER — At one point I didn’t have great offers for movies, and I didn’t want to work on anything that I wasn’t really fond of. I have so many other interests … among other things, retirement. I used to do a lot of nothing actually — playing a little bit of golf and doing a lot of other little things. SVEN SCHUMANN — A lot of people would describe creating their own high-end sports car, like you did with the Cizeta-Moroder, a lifetime achievement and not a little thing. GIORGIO MORODER — That was fun. The Cizeta-Moroder was the first 16-cylinder sports car, which was quite interesting to make. 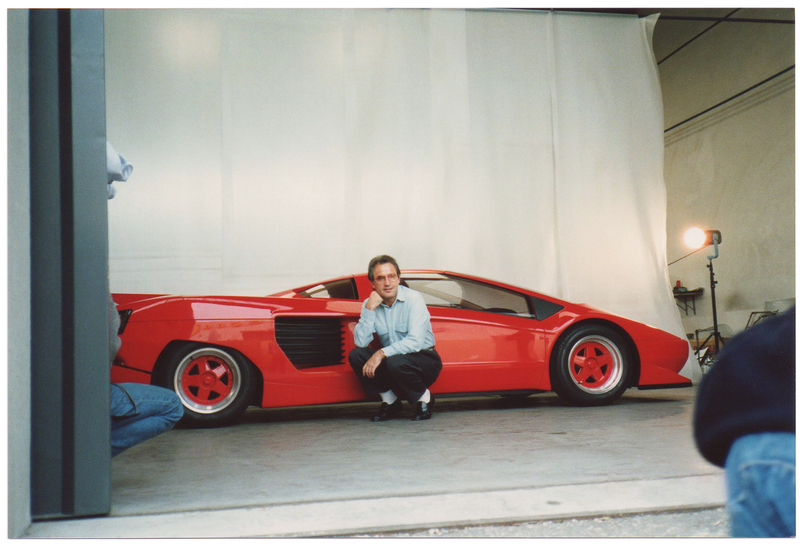 I had great guys to work with, like the two guys who created the 12-cylinder for Lamborghini. We were all a group of friends; they all worked together with me and organized and helped me build the car. It never really went into production, but I still own one of the prototypes. I was also working on building a new kind of luxury watch. I did some computer work and had several art shows. Once I even did a short film, made entirely of pictures, that won an award at the Palm Springs Film Festival. When I really wanted to do something I always just did it. SVEN SCHUMANN — So at the age of 73 you decided that you really wanted to be a DJ? 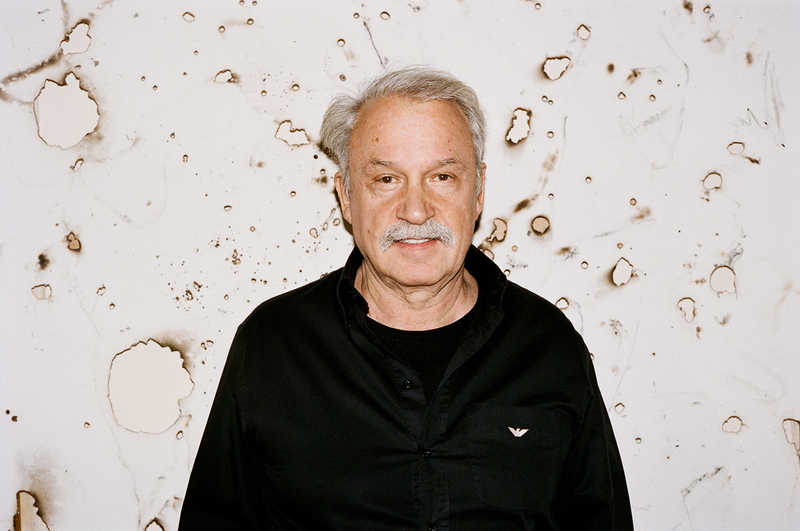 GIORGIO MORODER — No, I became a DJ by coincidence, because Louis Vuitton asked me to do a small, 15-minute set for one of their men’s shows in Paris and I liked it. Because of that, Elton John’s company asked me to DJ at the amfAR gala in Cannes during the festival, and then the Red Bull Music Academy asked me to do a little bit of teaching to the students and at the same time to do a DJ set in a great club in New York, which became a big success. So I continued and now I love it. GIORGIO MORODER — I just came back from Mexico, where we had around 20,000 to 30,000 people, and yesterday here in LA we had probably 7,000 to 8,000 people all jumping up and down. It was absolutely incredible. They are pretty much only young people; the oldest ones were probably 30. I let them sing with me “Looking for some hot stuff!” or “Call me!” and I don’t know how, but they all know the songs or at least some of the lyrics. Being a DJ is great because you are kind of in command up there like a music conductor. You do the highs and the lows and the big moments and the quiet moments, so it’s a very interesting job. SVEN SCHUMANN — Apparently you always wanted to sing, but you were never quite satisfied with your voice and had a hard time memorizing your lyrics. Is DJing your dream come true in a way — to be in front of an audience, to be celebrated, and to drive all these young people to come and see you and go crazy? GIORGIO MORODER — Yes, that’s absolutely correct. I know I don’t have the greatest voice, so I could never, ever be a Michael Jackson, but now, as a DJ, I feel like I’m Michael Jackson. I mean, I stand in front of 30,000 people and they all jump up and down. I think it’s even better than Michael because Michael usually sang his songs and they were all happy, but I have a connection with the audience and they react to absolutely everything I do. For example, when I tell them — with the music, of course — to be quiet, everyone is quiet. The interaction between the DJ and the audience is very interesting and absolutely fabulous. SVEN SCHUMANN — Not many people start a DJ career in their 70s. How quickly did you pick it up? GIORGIO MORODER — Very fast, actually. Throughout my life I probably mixed or remixed songs at least a thousand times. Every song I’ve ever written has probably 10 to 12 mixes, so for me to mix the old songs with new things live was very easy. At the beginning I had a friend of mine help me out with the computer and all that, but then he didn’t have time to perform with me anymore, so I had to learn how to do it. Now I’m doing it all by myself. I know the songs very well, I know the transitions, I know the effects that I’m going to put in. And that kind of audience is so thankful. They are so happy to be there, to dance and then to see me. I love it and now I’m quite busy again. SVEN SCHUMANN — Are you still looking for the sound of the future these days? GIORGIO MORODER — I’m still listening to the charts, because I want to stay on top of what’s going on, but I rarely check out new stuff because I don’t have time. I don’t want to anymore, and it’s so much easier if I just listen to the hits because that’s what I was always interested in.